Most environmentally-conscious parents and teachers are eager to teach their children about the three ‘R’s of saving the environment: reduce, reuse and recycle. While this may be seemingly effortless, it is often difficult for children to convert this into action. That is where the fourth ‘R’ comes in: reward. Positively reinforce your child every time they recycle sensibly. If your children agree to forgo new stationery at the beginning of the school year and use the previous year’s crayons, you can encourage them by buying a cute mug to keep the stationery in. This way, they will start incorporating recycling into their everyday lives. A lot of solid waste enters the ocean and pollutes it because it remains improperly separated. 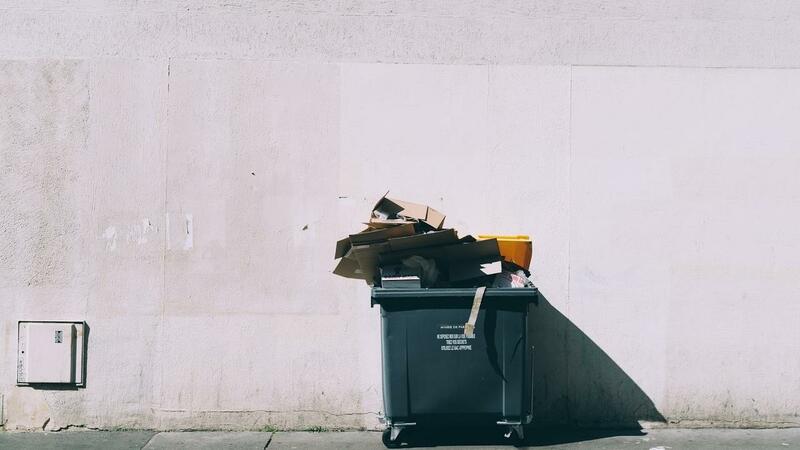 A key method of separating waste to prevent water and soil pollution is through keeping separate dustbins for solid waste, like plastics, and safety containment systems for chemical waste, like batteries. Encourage your family members to properly separate out the items, and reward them on successful completion. You can even expand this by organizing segregation drives with your friends and family around your neighborhood. If you and your family jog regularly, you can even try ‘plogging’—where you pick up the trash you find in your jogs. After this field experience, your family is bound to be more waste-conscious! This method is a great way of sprucing up your surroundings while giving back to nature. Every day, a lot of transparent glass and plastic containers are discarded. Be it test tubes and volumetric flasks from your child’s chemistry set or bottles of water—you can actually use these small containers to make a huge difference. Instead of throwing them away, fill some potting soil in these containers and put seeds of small herbs or flowers in these containers. You can hang them on the porch or near a window and have your very own vertical garden! The most effective method of getting the message of recycling practices across is through fun and games. Gift your child innovative games like the Climate & Weather Science Kit. Through child-friendly and fun experiments that your children can conduct using the materials in the kit, they can learn about their surroundings. By marking the phenomenon of climate change and environmental damage through these practical, fun experiments, they can learn hands-on about pollution and its impact on the environment. One of the best ways of encouraging your child to reuse, reduce and recycle is by training them to make art using materials available around them. Encourage them to make small stuffed toys using scrap material. You can even take up fun craft projects with them through craft kits and scrap paper. Through these activities, they will learn to be innovative and resourceful, which are key to reducing and reusing. Plus, it acts as a great bonding moment with your child! Recycling is a difficult habit, but when you begin early, it can become one of the easiest things in the world. Becoming environmentally-conscious is key to building a sustainable world, so teaching this lesson to the leaders of tomorrow is especially important. Just take up a few of these fun activities, and your family will be recycling regularly in no time! Ross Geller is a blogger who has written many informative Blogs in the areas of unique gifting, personal development, and environmental advancements. He co-authored Supercharge Organic Traffic: A popular course focusing on Organic Traffic for Ecommerce.